At the end of the summer we look back to a busy time with a total of 24 students from the US, Germany, Russia and Ukraine. They spent different length of days with us in a good mix of people and interests. We talked a lot, answered questions from the study materials and read articles with relevant insights. Lengthy meals as well as trips to different sites of interest near-by lend themselves to that. We like to mix the intelligent discussion with evidences of real achievements by people through their work, thought and effort. Ideas from the Bible and efforts in people's lives through the centuries help to give a much more convincing picture of the truth of Christianity. Besides, it helps us underscore in our conversations with our guests the importance of understanding the Bible and the Christian faith as something more than merely a personal way to salvation and a framework for personal anecdotes of faith. We sit here in Gryon very much on one of the major cross roads of European life. Therefore the vestiges of pagan, Roman and Christian thought are all on top of each other or close-by, inviting us to discover, compare and appreciate them. For there is much more beneath the surface, that is usually shown to tourists and collectors of anecdotes. But today, after that many conversations, agitated at times both from our personalities, from the importance of the subjects on the table and the Jewish tradition to 'argue for the sake of heaven' I am glad to be able to write instead of speak. I can speak with you in my mind, save my voice a bit, and say what I have on my mind. Though, I must confess, I would find it easier if you were here in the garden or on a walk with us and we could just talk about these things in a small group. It has been several months since you heard from us. You will have received FOOTNOTES, which Diana Notaro sent out for us in June. Perhaps you even remember my last letter sent in March by Marla McGill in Amarillo. Both friends give their time and patience to help us stay in touch. Many thanks. Once again I shall try to bring you up to date. We depend very much on help from you. In recent months we have not been able to make ends meet for our usual expenses, for there were bills that needed to be paid first. The student house needs much work on it. While the students normally pay during their studies, we also gave scholarships to three Russians during their time here. So we are very thankful for the help some of you have given. Yet, we are very much in a pinch right now. :Let me tell you in some detail what we have been able to do since the last letter. In April I went with Jesse James for a week of lectures and discussions in Astrakhan in Southern Russia, just north of Dagestan. That was immediately followed by two weeks in Mozyr, Belarus, a little north of Chernobyl. I gave my Christian World View talks there and spoke in different settings, including the mayor's office. The town is a ghost town in many ways, with the manners of former times still in place and little new blood coming to an area so close to the disaster 13 years ago. In fact we were there during the memorial service in the town square for the catastrophe 13 years ago. I was happy to hear a German aid group speak about the help being intended to develop self-help programs, for much of the town dwells on the catastrophe rather than on the measures necessary or already undertaken to prevent a recurrence. The identity of the town and people is the catastrophe, their mourning is about themselves. As for the authorities they seem little prepared to make changes in order to bring out human creativity, individual advances and personal responsibilities. Not one official 'thank you' spoke of what we had tried to bring to the town through teaching, example and encouragement. Belarus as a country is still very much in the clutches of the old system. Its president, you will recall, favors a merger of the old Soviet Union. We were there during the attempt of the Belgrade government to form a union of Slavic brothers, which of course had to fail in light of the large Muslim population within Russia itself. But still, we were asked often about Kosovo, Bill Clinton's bombs, innocent victims and Environmental catastrophes following the destruction of refineries. In the whole discussion there was no evidence that the people had any knowledge of history, of NATO processes, of human rights violations. My counter question often was why Russia had stopped the fight against fascism at the end of World War 2. If current arguments against resisting Belgrade's evil ethnic policies had been applied to Hitler, there would have been no defeat of fascism, no limit to Nazi evil and no war against Hitler's expansionism. Apart from this trip abroad for lectures, I spoke on a number of occasions within Switzerland during the past five months. In three different settings I spoke at the other end of the lake in Geneva. In March a lectured for four days to a group of young French pastors, who gathered for a refresher course in Apologetics at the Bible Institute of Geneva. The second time I addressed a similar group for a week in June on post-modernism and its effect on the thinking and expectations of people in the churches. There was much curiosity, much interest and a willingness to understand what makes the comprehension of the Gospel so much more difficult today. 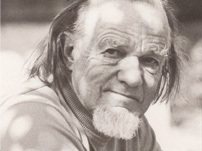 When Schaeffer spoke of a uniform field of reference in Christianity, he meant that there is no nature and grace division. There are not two fields of knowledge, of which one is material and the other one spiritual. Things of and about God and things of creation were either true or false in both areas. This understanding unique to Judaism and Christianity. It is rooted in several factors. There is first the factor that God created a real and material world in which we live. Secondly, this God is an infinite person, someone specific and exclusive, limited morally to his attributes. Therefore the human being, made in the image of God, is not "other" from God. God is the creator, infinite, without sin. Man is created, finite and now a sinner. But in matters of moral categories or discernment in knowledge God and his creature are persons. God is not an all-inclusive pan-theos. Man is not incapable of distinguishing moral choices. Thirdly, according to the Bible and Jesus Christ, God can speak in the same manner in which he has gifted us, created in his image, to speak meaningfully using language. Jesus points this out in John 10, when he says that the Jewish listeners should not be surprised that one who is one with the Father stands in front of them, since the word of God has come to them to be understood. Fourth, there is the incarnation of Jesus Christ. When God himself took on flesh and became man and dwelled amongst us he did not cease being God. He was touched, spoke and ate, kicked up dust and really wept, argued and went from place to place. He took on himself that form which had been made in his image to begin with. Modern theology from Karl Barth on, under the influence of Kant, has abandoned this view and has been left with nothing but speculation about the meaning of the Bible, or of anything for that matter. If God is "totaliter aliter", God cannot speak directly and the Bible cannot be revelation. This is where the post-modern and deconstructionist starts. They have not created or discovered a new phenomenon. Theirs is not a new philosophy. They merely clothe an older idea in a new garment. For they also say that knowledge of a thing is no longer possible. All we are left with is subjective constructions, a perceptions of things that may or may not exist. We all see what we see, because we want to or because our ethnic, gender and political orientations make us see things in a certain way. It is a fundamentally pagan idea, since the only knowledge available is what wells up from inside the particular persona. Understanding this allows us to see how lonely modern man is in his own world. How much he craves belonging to anything and, not being able to belong any longer to the human race in an objective world, he finds attachments to momentary subjective interest groups, a sisterhood, a political orientation, a church, to Jesus as one in the circle of my friends or only teammates. This Jesus is a truncated one, separated from the Father, from Scripture, from the historic Jesus and from rationality. We became very much aware of this in the summer as on occasion we discussed again such issues as forgiveness, election and the will of God, or counseling from the Biblical perspective. In each of these areas the Jesus presented so often also in Christian books and churches is not the one we would know from Scripture, but a much more 'tolerant', unrealistic, indifferent and 'friendly' one. He has been shaped into the mold of our expectations. He has been adjusted to the demands on the market. The problem of course is that with such a Jesus fashioned to our liking there is no salvation in the end. The focus in post-modernism and in modern churchianity is on the individual, not on God. How I want to feel is more important than what I need to acknowledge. Both express a deep selfishness and arrogance, for in each case the person determines through his experiences the character and work of God: his own god, which he is willing to 'share' with others. The lectures and discussions with the French pastors pointed this out and helped them to understand the areas that need particular attention in reaching out to people around them. Amongst these is a deep cynicism about any certainty, any assurance, any knowledge or anything of real and lasting importance. Of course we do not always know whether the news on TV lie to us. However, just because we have been misled in the past; and just because there are different angles to things does not mean that there is no objective truth about God, creation, history. It is not all just a construction of our minds. Yet such constructions are invited, suggested and encouraged across our cultural scene. In schools opinions are favored over insight. In churches, personal experiences are more important than Biblical knowledge. In politics we are invited to develop and to pursue our personal or national dreams. My third time in Geneva was during May, when I spoke in the Church of the Pelisserie. That church meets in an older building right near Calvin's church St. Pierre in the old town. The church came out of the revival in the 1830 under Merle D'Aubigne, Vinet and others. English pastors had come over to settle and taught from the Bible, when the university had already in 1810 given up on the Christianity of the reformation. My talks are now being published in French. On two occasions I spoke also in French for the Emmaus Bible College above Vevey. This past August I was once again a speaker for a retreat of Christian professionals from France and Switzerland. The subject was "Tolerance, Human Rights and Multiculturalism." The attendance had grown from 45 last years to over 80 now. Their response is so encouraging, they participated in a lively way, and my French flowed without too many grave mistakes. The other time I spoke there was to make a contribution to a course on apologetics during the semester. There were students from here and African countries. I was pleased to be able to speak for many hours about the confidence we have in the truth of Christianity. That truth is not anchored in our faith, but we have reasons to believe that God is and rewards those who diligently seek him. The trust in the rationality of God, his word and work is so often absent from the life of the church, which in turn has then been reduced to a fellowship of do-alikes, a community of special words, a body of 'saved' people, whose minds however have been left outside. Among the English speaking churches in Switzerland I gave a weekend to the International Church of Lucerne in a beautiful location in the Bernese Alps. That was a friendly bunch, even after they figured out that I am not the usual fun-in-church fellow. I even managed to state a fine and somewhat delicate opposition to a song, which stressed that God loves all kinds of people in their peculiar ways, professions and practices. Isn't that respectful, I thought. But then I Debby and I pointed out how flawed the message is. For God loves us as people, as the world in spite of, not in our sin. Not the love of God should move us to change, but the recognition of what sin is! I also preached for the International Evangelical Church in Lausanne and the Bern Christian Fellowship. I enjoy this, though it lacks a certain continuity for me. I also wonder about English church in Switzerland having to be such a copy of "the churches back home". While such events are a social phenomenon in the past, the cultural context here is so different: much more the serious discussions, challenging ideas and starling insights in a circle of people, on a walk, during an evening's lecture. We started this year's studies earlier, the first students arriving already in late May. Most of them students came from the US, but we also had two Russian teachers from Omsk. Both had come to a Schaeffer Foundation Study Session in Moscow two years ago and then helped set up a similar session in their own town of Omsk last year. In addition, Ben and Tanya came from Ukraine, where they are both very much involved in student work and leadership training programs for younger adults. We had lively discussions about the difficulties to affect the thinking of people who for so long had been under very difficult situations. The slow response to possibilities ahead is perhaps due to previous disappointments, present dangers and a defensive way to merely stay alive. This leaves the floor too often to those in power, newly painted older structures in government, society and in the thought world. I have enjoyed discovering an old Russian proverb that states that "the tallest blade gets the sickle." You get noticed, punished and cut down, when you stand out, take initiative, act on your own. In the religious teaching that was considered a mark of pride. In Marxist times initiative was the sign of the profiteer, the selfish man who worked outside of the collective interests. Private property, after all, was considered the heart of evil in the bourgeois and capitalist world. So you better lie low and wait for what might come down the river. A little oil painting, given to us by a Ukrainian friend Zina, shows a house, shutters closed, by the side of the river in ominous weather. Perfect illustration for so much of human suffering and the seeming wisdom not to cause a stir. In our western culture, marked by Jewish and Christian thought, a parallel proverb might be that 'the squeaking wheel gets the grease." You make a name for yourself, change the course of history, take initiative. You are not a victim of fate, circumstances or government, but stand up to be counted, 'to take a stand' and to leave your mark for good and against something evil, and often you are blessed by the Lord. I was struck by the advice a Christian worker gave to the teachers back in Omsk after our seminar a year ago. While I had pointed out the Biblical emphasis that we are to create, take initiative and morally judge the events of life in a fallen world, he had spoken of the need to teach Russians that God is in control of all things. He had faulted me for my less than hyper-reformed views, saying that Russians needed to know that someone is in charge at all times. Yet that is precisely what Russians have believed for so long and why they have not been encouraged to think, act and judge for themselves. Whoever was in charge in Russia in the past: Czar, dictator, pope or god, has crushed the spirit, insulted the mind, killed initiative and responsibility in her people. And now this man wants to place God into the same mold! concerning life in a fallen world. Dr. Schaeffer used to say that there is no room for any kind of final determinism in Christianity. On any level it leads to the abolition of what the Bible describes as man made in the image of God. If all is the work of God, you lose the Biblical view of Man; if all depends on the work of Man, you lose the reality of God's active intervention. This is not the way "the West was won". A friend reminded me that the slowness of pace, the lack of initiative, the manner of getting around responsibilities, the inability to review old patterns is perhaps a defensive action in order to endure, to have small areas of control. One becomes like a child , who with frequent 'no' begins to discover his or her own power over a situation. There is at least one area in which one is master: I can determine what will not happen! Debby and I have wondered whether this same attitude is not also at times the core reason for anorexia: the need to have at least one area in which we are in control, where we can determined what we eat, look like, how much we weigh, etc. One student cheered us immensely this summer. She arrived without announcement and spent six days here. She had been a nurse for Dr. Schaeffer in Rochester, listened to one of his talks there and now wanted to come to sort things out in his former work. Yet there was no room for her there. Rather than leave at once, crushed, Dolly, who had herself come into our house unannounced from a tragic situation many years ago, brought her to us one Sunday. She has a horrible background of abuse and pain and sat under the teaching of Christians who counseled submission to it. Now she had set out to read the Bible. She did not read typical Christian books, but simply prayed and read with her urgent questions in mind. And this way she found really helpful and sensible answers herself, the courage to take a stand, a way to repel suffering and to be strong in a cruel world. What amazed us so much during that week was the contrast to many, who with their reading come to such strange, unwise and insensitive conclusions. It is still true that God's word is true, a balm of Gilead, wisdom to those seeking it. Rather than caught in some theological system, spiritual sounding advice and perhaps a whole book of supporting verses, she had come to the Lord freely and sought honest answers to her pressing questions. And again God had honored his promise that he who seeks shall surely find. He has not promised that we shall find the answers by the push of a button, by popping a pill or in a manual to explain how to make life function. But he gave insight and wisdom and knowledge to a seeking person. Each week we went on a study trip, to Martigny, Orbe, Lausanne or into the mountain valleys nearby to observe life and the power of different ideas in a number of local contexts. This exposes our thinking to reality of time and space in the lives of people and helps us understand the world view of the Bible in contrast to ancient or modern alternatives. Isaac is now in sixth grade and enjoys it. He skied until the last area of snow had melted away after Easter and then picked up tennis and, on each Wednesday afternoon, sailing an 'Optimist' boat in a Junior Club. This is just down the street from where Edith rents her flat, so we have regular visits, picnics and swims. The three of us spent four days in Germany with bicycles in May and two weeks in Italy with Mrs. Schaeffer. Naomi and Micah were able to join us there as well. Hannah has changed her work. She accepted a job with a work for drug addicts in Lausanne. It is the one remaining work that insists on total abstinence rather than the methadone replacement therapy the Swiss voted for last year. It is tiring, but work she always wanted to do. She has brought a whole new way of relating to people into the work and is much appreciated by the staff. Samantha and Gregg will move to Bern early next year, where Gregg has accepted the responsibility of financial comptroller in a branch of a larger Swiss holding company. They will both have to learn German now, and perhaps even the more awkward Swiss German. Natasha and Paul still live in Bienne, but Paul now commutes to a law firm in Bern, where he will have a more challenging work with his own clients. Their son Alexandre, who is 4 1/2, started school last week , which gives Philippe at 2 years of age more space to express himself We get to welcome the two grandchildren here, a third one is expected in February. Edith Schaeffer is spending more time with us here and will soon decide whether she will move back here, since her eyes make it necessary to have someone with her pretty much at all times. Please pray for decisions ahead about her house in Rochester, her things, her life with people. We pray that a place in our students house, once it will be fixed up, will become a new home to her. Debby is still teaching English a few hours a week in a private school for the sake of the children. In addition, she is also teaching four Sunday school classes by now at different times during the week in our house. Not only are there few volunteers in general. There is also so little comprehension, if any, of Biblical truth, history or thought. The local pastor believes something, but the regional one nothing at all! We became god-parents at the baptism yesterday of an Indian/Swiss child (8), whose mother is HIV positive. We wonder what further responsibility we might have with this bright, sensitive boy down the road. Please pray for us in this matter as well. Again we thank you for the support you are, for your prayer and interest, your friendship in our concerns.